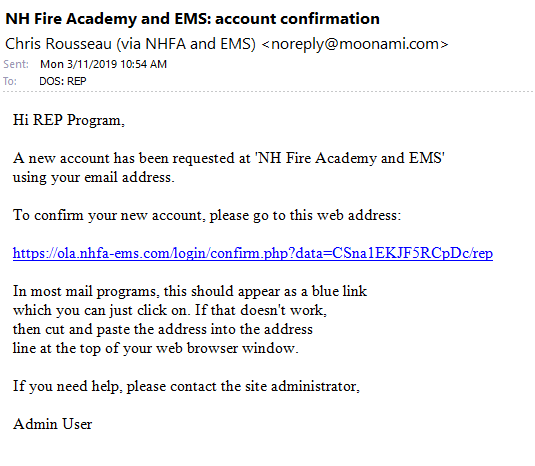 To enroll in an online REP Training Course, please follow the instructions below. Click on “Create new account”. You will get a screen indicating a confirmation email is required. You will be directed to a screen when your account confirmation is complete. 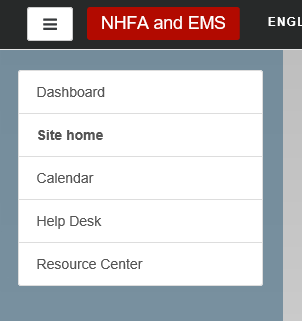 Once in the dashboard, there are navigation tools on the upper left of the website, select “Site home”. 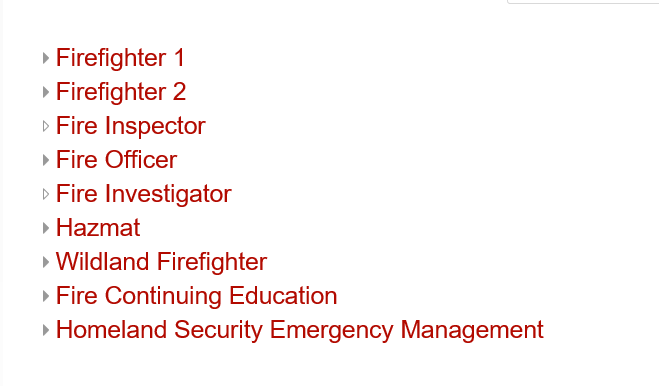 Scroll to the bottom and select “Firefighter Programs”. 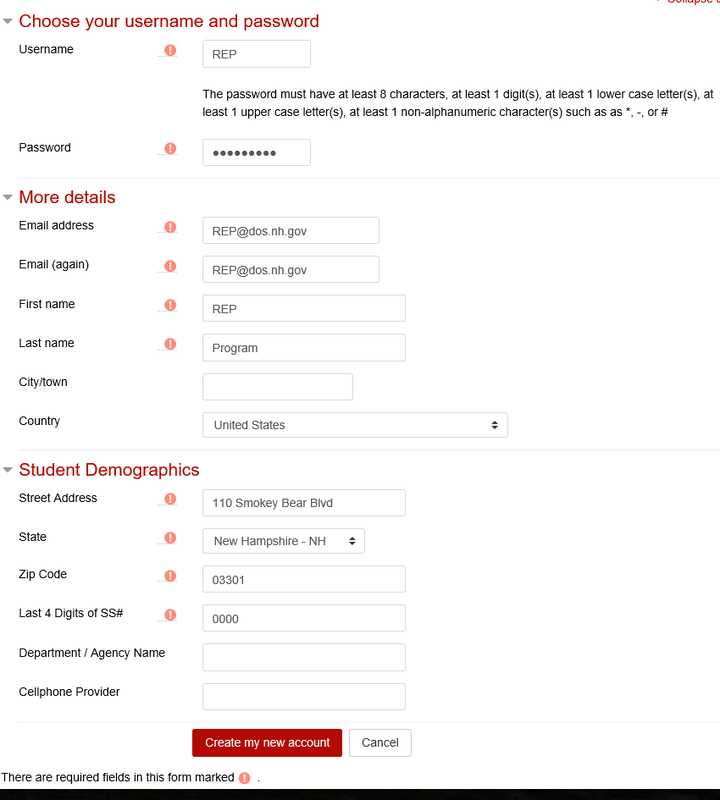 Select “Homeland Security Emergency Management”. 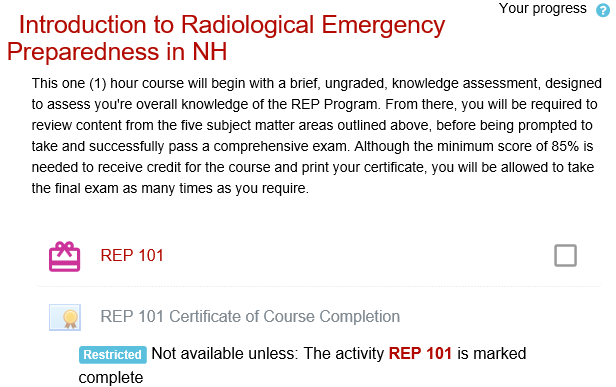 You will see the REP 101 course available, click the image or “REP 101” to open it. You will see two selections: the course “REP 101” and the certificate “REP 101 Certificate of Course Completion”, which you can access once the course is complete. 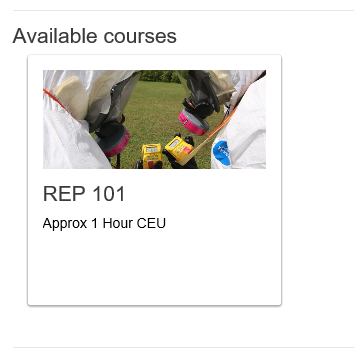 To open the course, click the course title “REP 101”. 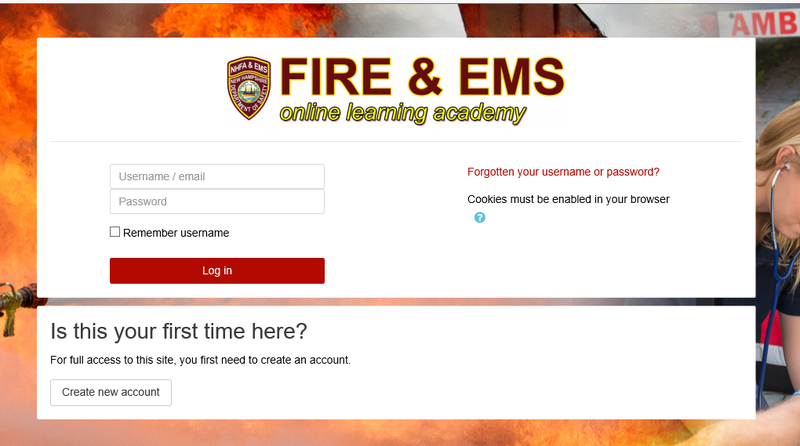 To enter and initiate the course, click the red “Enter” box.